Some great friends gave me this book for my last birthday. 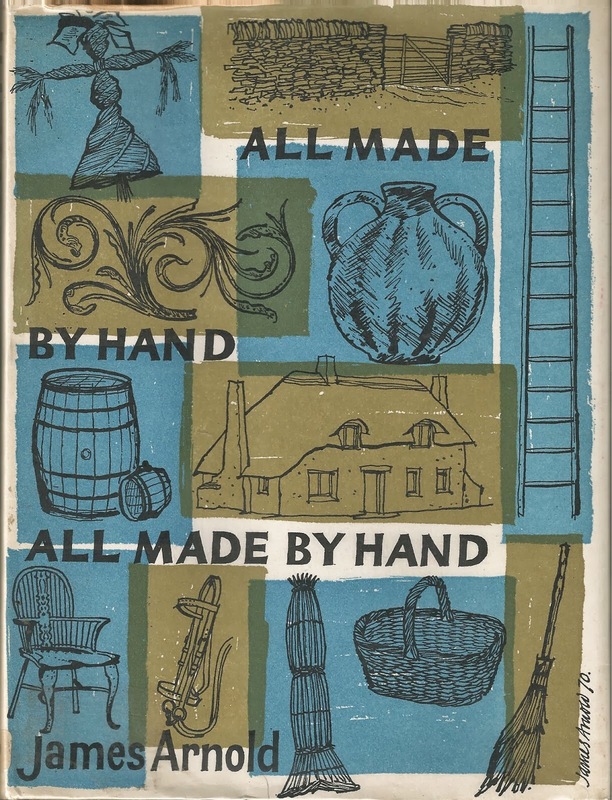 It's by James Arnold who also wrote the Shell Book of Country Crafts, which Richard mentions in one of his previous posts. 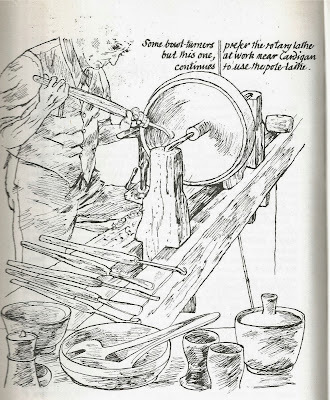 It's illustrated by the author with some lovely drawings including one of a pole lathe turner and a spoon carvers tools. 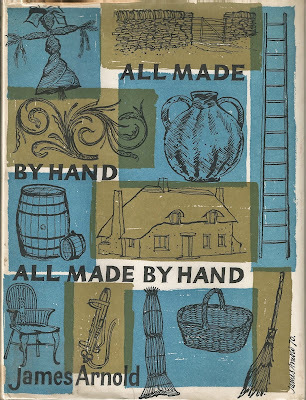 The author has obviously paid close attention to the craftsmen he observed and their tools. 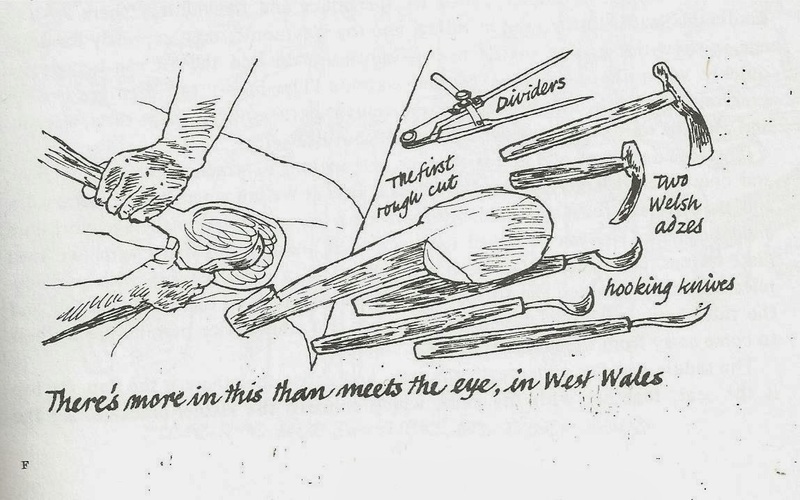 I particularly like the 'hooking knives' with their different sweeps. 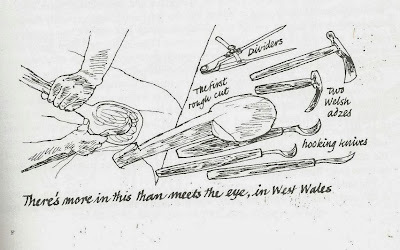 What I find slightly puzzling are the dividers that are included with the spoon carvers tools. 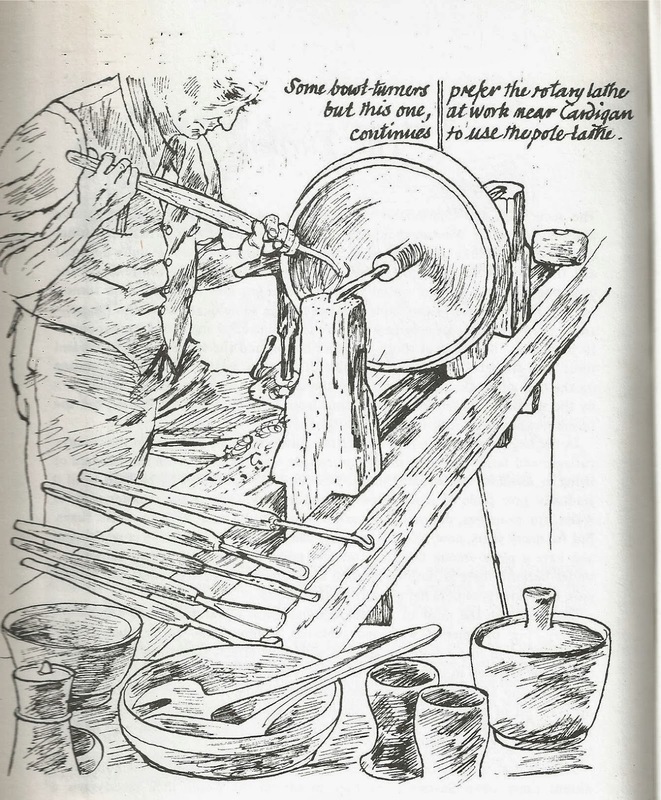 In the text he mentions that the turners would often carve spoons and ladles as well, so maybe he has confused a tool that he would use for turning for a spoon carving tool. Any other suggestions? Maybe it was used for marking out curves or measuring thickness, but I doubt it. Does any one do something similar? Comments welcome.